Say hello to my little friend! Now, I know what you’re thinking. What the heck is he doing here, Len? I’m sure you’ll figure it out once we get to the debits and credits. I Pick Up Pennies – Maybe We Could All Take Turns Being Adults… Then again… Nah. 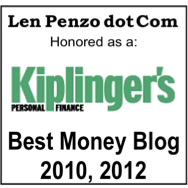 GoBankingRates – Personal Finance Project: Vote for Your Favorite Len Penzo. I believe the deadline to vote is Monday evening and the exit polls are showing me in worse shape than most of the Democrats running for office this year. Squirrelers – The $600,000 Dog. The Wise Squirrel posted this piece in August; I really don’t know how I missed it. Oh, wait. Yes, I do. I was busy trying out for American Idol that day. 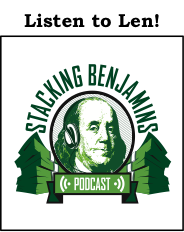 Saving Money Today – Building Multiple Streams of Income. Says Mike: “Ever since my wife quit her job to stay home and raise our kids I’ve been on a quest to create as many streams of income as possible.” Welcome to my world, brother. 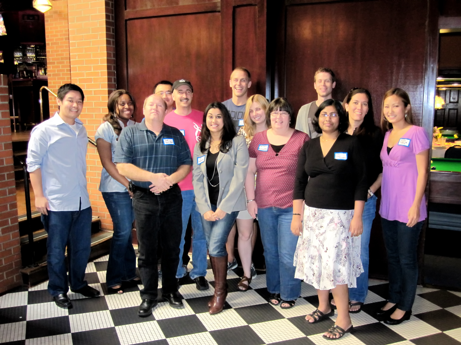 The Aspiring Millionaire – Do You Prefer Good Customer Service to Saving $2? The Centsible Life – Credit Scores and Reports: What Why and Where? The Digerati Life – PG&E Gas Leak Leads to San Bruno Fire: Disaster Strikes. The Millionaire Nurse – Debit Cards: Are They As Safe As Advertised? 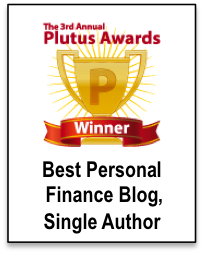 Barbara Friedberg Personal Finance – A Sneak Peak Inside My Personal Finance Portfolio. One Money Design – How Young Is Too Young Too Start Teaching Children About Finances? 18 Things You Didn’t Know About Automated Teller Machines – For example, there are three countries with more ATMs per capita than the United States. Surprising, I know, considering you can’t go anywhere without running into one. As for the three countries that rank higher than the US, well, you’ll have to check out the article! Debit: I just finished reading a web story in Britain’s Daily Mail where their socialist health program’s rationing body denied treatment to a 43-year-old breast cancer victim. 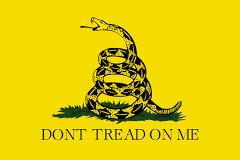 The thought of a bunch of government bureaucrats having the power to decide who lives and who dies is repugnant to me. But hey, that’s hope and change for ya – coming soon to a health clinic near you, America. Credit: I guess the good news is we’ll all be saving lots of money with Obamacare. Remember, as seen by this clip entitled 20 Promises for $2500, President Obama repeatedly reminded us on the election trail that his health care plan would lower worker premiums by $2,500 per family. Per year. 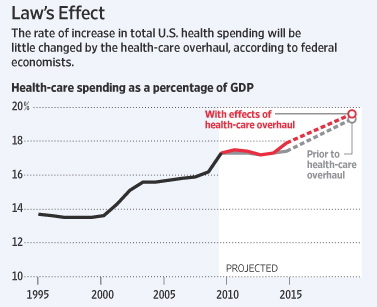 Debit: But the Wall Street Journal reports that insurance companies are now pushing rate increases ranging from 1% to 9% that they attribute specifically to Obamacare. Oops. Debit: But wait, there’s more. The report notes that the cost curve is even more pronounced with respect to Medicaid and private insurance. Debit: Despite this data, Health and Human Services Secretary Kathleen Sebelius warned the insurance industry that the Obama administration won’t tolerate blaming premium hikes on the new health overhaul law. “There will be zero tolerance for this type of misinformation and unjustified rate increases,” she said. Debit: “Zero tolerance?” That is pretty strong rhetoric. I wonder what Ms. Sebelius means by that ominous remark. Debit: Will she be rounding up the CEOs of these insurance companies and putting them in the federal pen at Leavenworth if they have the nerve to explain to their customers why they need to raise their premiums? Credit: Based upon the data, Obamacare’s higher costs make sense to me. They always did. Debit: Actually, Sebelius warned that insurance companies that refused to fall in line with the administration position might be excluded from new health insurance markets – and a potential customer pool of 30 million people – that will open in 2014 under the law. Credit: Somebody better tell that to Rep. Carol Shea Porter (D-New Hampshire) so she can have a more “convincing” story next time she holds a town hall meeting. Debit: And in other news, on Friday President Obama shared his assessment of the $787 billion “stimulus” program that was supposed to keep unemployment below 8.5 percent and help get the economy out of the doldrums: “It worked; it just hasn’t done what we need it to do.” Heh. If you say so, Chief. 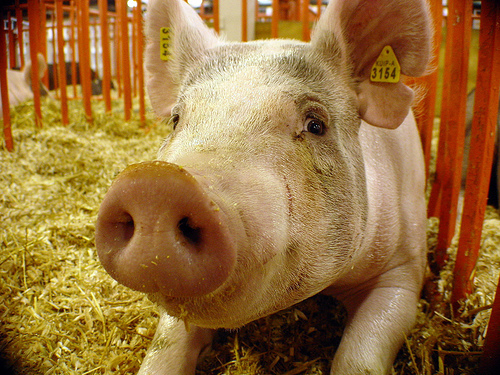 Credit: You know, you can put lipstick on a pig. It’s still a pig. Other Useless News – My Biggest Traffic Day and Week Ever! 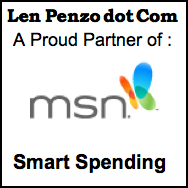 Last Friday was the biggest single day ever here at Len Penzo dot Com with over 22,000 page views after Karen Datko featured my post on 19 Things Your Suburban Millionaire Neighbor Won’t Tell You at MSN Smart Spending! That post seemed to really resonate with the readers, and so a lot of folks stopped by to check out this site and do a little window shopping after they read the article over at MSN. Anyway, thank you to everyone who stopped by this past week – new and old readers alike! I really really appreciate you coming back here every once in a while to take a gander at what I’ve been blathering about. More traffic stats from the recent record seven day period from Friday, September 3, through Thursday, September 9, (unless otherwise indicated). 22,210 The number of unique visitors to Len Penzo dot Com for the week. 72 The number of unique visitors to Len Penzo dot Com during my entire first month of blogging (December 2008). 96 The estimated percentage of unique visitors in December 2008 that were family members. 176 The average time in seconds spent on the site by each visitor. 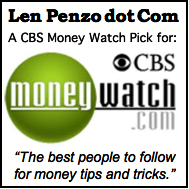 85 The percentage of visitors that came to Len Penzo dot Com for the first time. 1.83 The average number of pages each visitor looked at upon arrival. 5.39 The percentage of visitors that checked out 5 pages or more. 1.53 The percentage of visitors that checked out 10 pages or more. 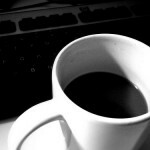 I’ll feature the most interesting question or comment I get each week here on Black Coffee — assuming I get one, that is. Len, Len, Len, where do I start? First, sorry about the lack of action-does “honeybee” not know about the birds and the bees? Where I am supposed to go for uplifting commentary? Just kidding-you call em like you see em. Things are just screwy right now. Thanks for the mention, and congrats on the traffic. If your server gets overloaded, just send a few my way. The soon to be non-private doc…. Hey Len, thanks for the mention! Thanks for the mention Len! @Squirrelers: Loved your article. I still can’t believe I missed that one. @Dr.Dean: You’re welcome. The server held up – although it seemed to be a bit strained for a little while. 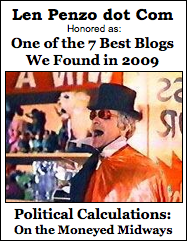 Then again, to put things in perspective, those numbers are all in days work for the biggest PF blogs. Now I’ll take your questions in order: 1. Thanks for your sympathy regarding my home front action report. LOL; 2. Weekends are my time to vent here. 3. I am definitely a fish out of water in California. It wasn’t always this way here though. Maybe sanity will prevail and the pendulum will finally swing back one day; 4. As for where to get uplifting commentary… Anywhere but here. (You’re going to get me in a lot of trouble, Dr Dean! LOL). @Tom: A pleasure, as always! I love your debits and credits. I work for a small family business and last week we got a letter that stated our health insurance was going to be going up anywhere between 41-66% at renewal. They said part was due to the regular annual increase and the rest was because of Obamacare. Our renewal mind you is not until Mar 1 2011 so they were giving us a lot of advance notice which we totally appreciated. We were not sure whether to laugh or cry after reading the letter. Unfortunately the bums in DC know exactly what they are doing and when they said we could keep the same plans they were totally correct-they never said that we would be able to afford it. Ugh! It makes me sick! I also know a few friends like Lynn who were told their insurance was going up 50% next year. It makes sense, you can’t have lower costs at the same time you expand coverage. Maybe Mike has a man crush on Flexo?! It could be!! I think we should all be Simpson-ized! Wow big traffic day….. The Daily Mail, c’mon Len you can do better reading that that pile of mess!!! On a serious note that is a sad story and I am the first to admit that the NHS isn’t perfect but I see it as much better than in USA…. So many people I know just cannot afford insurance in USA and if they do it’s low level sh*t and still costs them $50 to visit a doctor and a ton to get any medication. I think Japan and Germany are better examples of a socialist health care system. The idea of people who’s primary interest is their yacht or how many sports cars can fill their garage running my healthcare worries me….. That’s why I prefer state run healthcare. Thanks for the link, Len! There seem to be many of us yellow-avatar people around the internet.